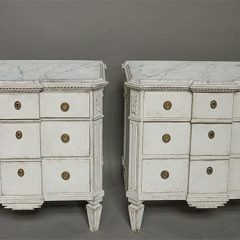 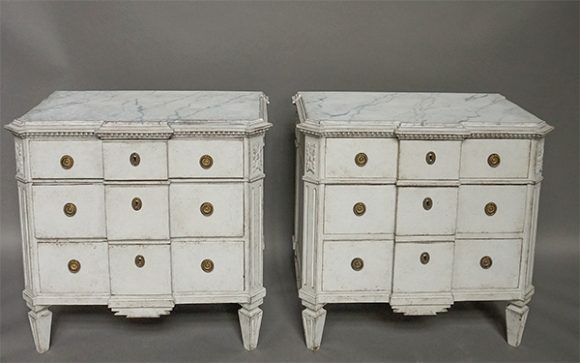 Pair of neoclassical commodes, Sweden circa 1830. 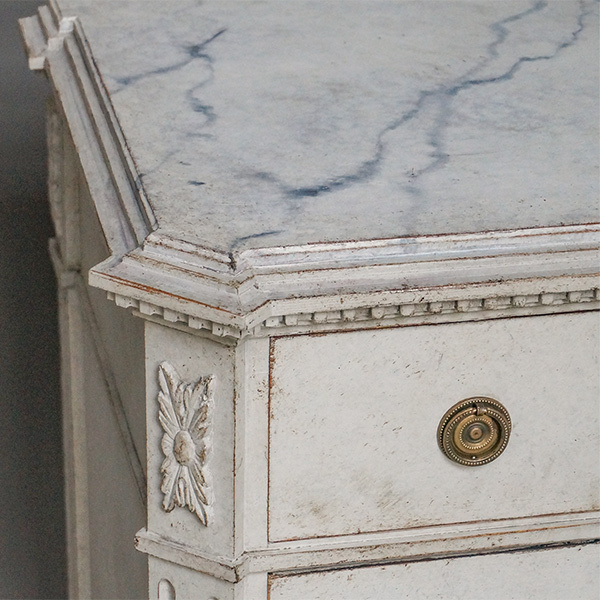 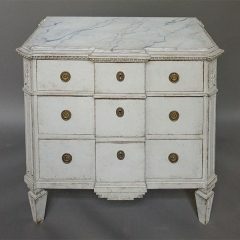 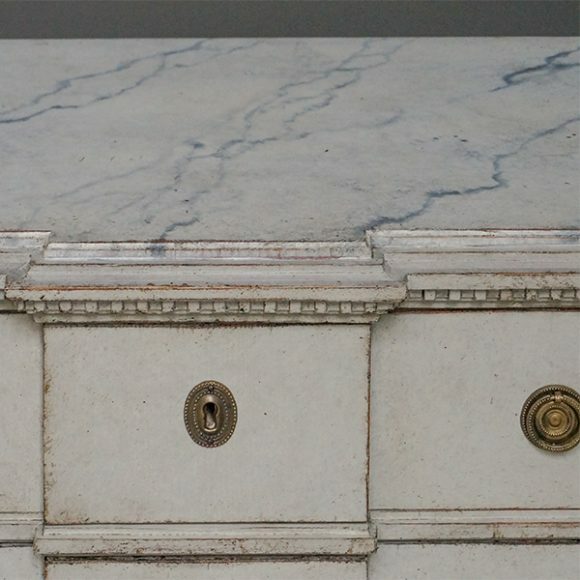 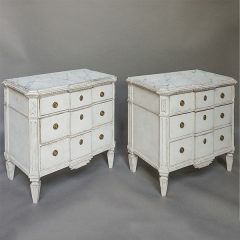 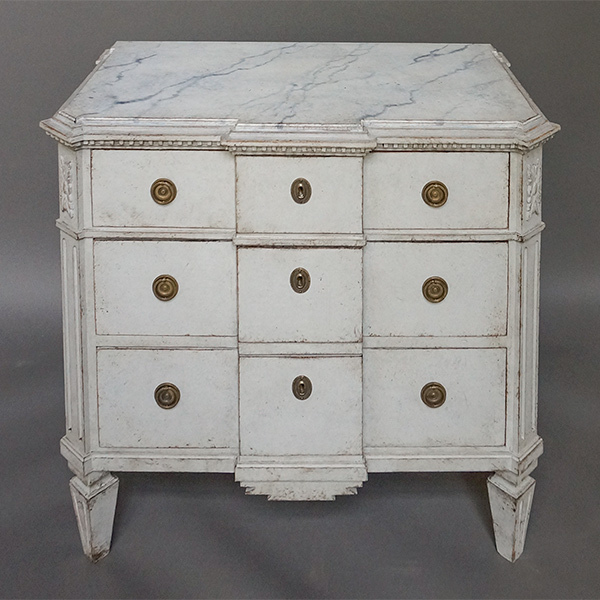 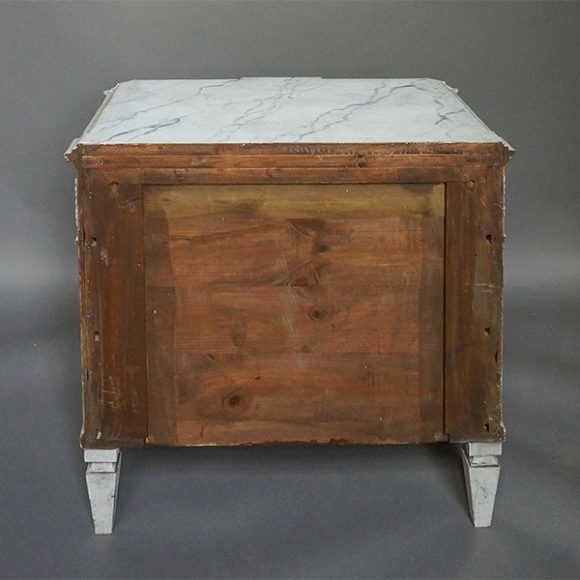 The shaped tops are painted with a faux marble design and have finely carved dentil trim. 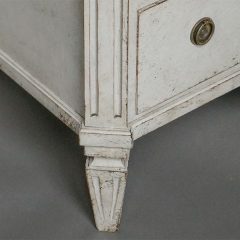 The canted corners have applied foliate carvings above reeding that extends to the tapering square feet. 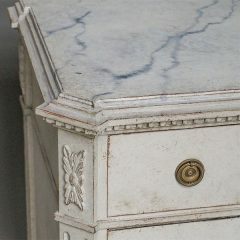 The raised center panels on the drawer fronts are emphasized with carved apron detail.